Renting a storage unit can be confusing for some. Deciding upon the correct size of storage unit is the main problem for many people. They are afraid they will rent a storage unit which is too small, or they will waste money by renting one which is too large. Well in this article we are going to help you decide on which storage space truly meets your needs. If you have questions you can always call us. We are Blue Mound 287 Self Storage, serving much of the Fort Worth area, and our number is (817) 439-1380, and even if you don’t live in the Fort Worth area, we would be happy to answer any questions about self storage you might have. The first thing to recognize when consider storage unit sizes is how the storage rooms are measured. 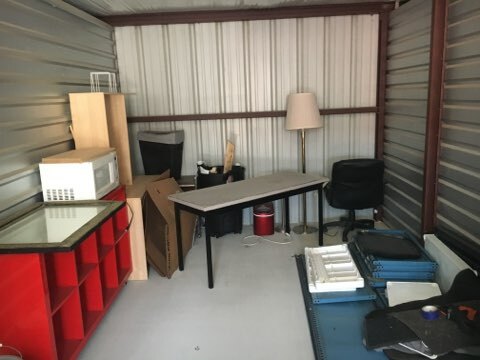 When you see that a storage unit is 5×5, your mind automatically computes that to be 25 square feet of storage space, but you would be wrong in that computation. Storage space in a storage facility is actually measured in cubic feet and not square feet. Always consider the eight feet of vertical space along with the floor space. In other words, with that aforementioned 5×5 storage locker, you are actually looking at 8x5x5, or 200 cubic feet of storage space. 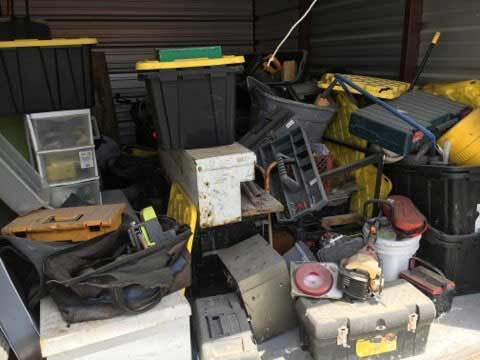 A person good at stacking can store quite a bit more into a storage locker than someone who is not good at stacking. And if you have more than seven rooms in your house, you may be looking at renting a couple storage units. Remember that those are average figures based on our years of experience. They are not one-size-fits-all estimates. They depend solely on how much furniture you have in your rooms, but they are a good standard to judge by. You can call us if you have questions about size. Again we are Blue Mound 287 Self Storage, affordable self storage made easy, and we like to think we have seen it all in the storage rental business. We are locally owned and operated, a factor we believe is important, and a factor you should consider when looking at storage facilities. Nothing beats working with a local company for great service and benefits derived by the local economy. Now all you have to do is count your rooms and make your decision. Good luck to you as you prepare for your big move. We are standing by if you have further questions. Call us and we’ll do our best to help you. Blue Mound 287 Self Storage offers car storage which will set your mind at ease. Call us to discuss the many services we provide for car storage in Fort Worth.